CVS has completed its acquisition of Aetna. It's been a year in the making, but CVS Health finally closed Wednesday on its acquisition of Aetna, creating a new health-care powerhouse. 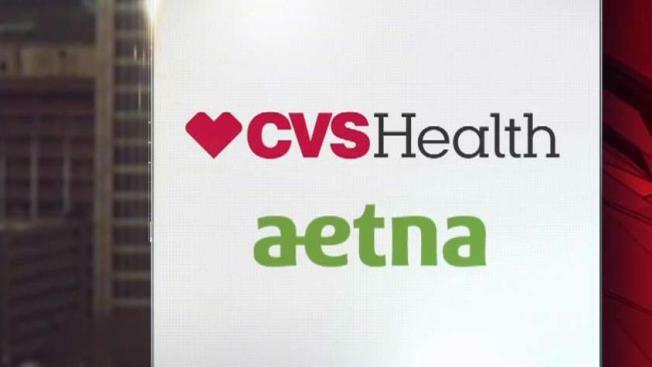 The merger combines CVS' pharmacies with Aetna's insurance business, blurring traditionally distinct lines in hopes of lowering costs. CVS also has one of largest pharmacy benefits managers through CVS Caremark and a major Medicare Part D plan sponsor through its SilverScript unit. The final deal valued Aetna at $212 per share, CVS said in a press release, or about $70 billion, up from the previously agreed upon $207 per share, or roughly $69 billion. The two companies announced the deal in December 2017 and received preliminary approval from the Department of Justice in October. CVS needed final approval from state insurance regulators where Aetna sells its coverage. A handful of states opposed the combination, saying it would reduce competition and could leave consumers worse off. In the end, CVS was able to persuade the state regulators to sign off on the acquisition. To win approval from California, CVS agreed to a number of conditions, including not raising premiums as a result of acquisition costs and keeping premium increases to a minimum. This came after Aetna said it would sell its Medicare Part D drug plan business to WellCare Health Plans for an undisclosed amount in order ease concerns about the overlap between the CVS and Aetna Medicare Part D plans. On its third-quarter earnings call Nov. 6, CVS said it expects to save more than $750 million within two years of the deal closing. CVS CEO Larry Merlo has promised the combined company will create a new data-driven health-care model that's more personal, convenient and tailored to individual patients than ever before. Early next year, CVS plans to start testing stores with added health services. These new locations will likely focus on managing common chronic conditions, adding more primary health services at CVS' MinuteClinics, guiding discharged hospital patients through their at-home plans and managing complex conditions, Merlo told analysts.